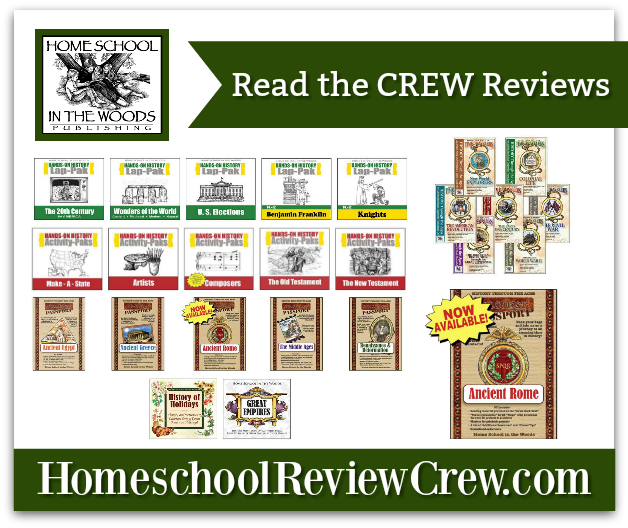 I have heard so many wonderful reviews about Home School in the Woods being an incredible hands-on history company with multiple product lines. Therefore, I was so excited when we had the opportunity to review one of the Hands-on History Lap-Paks. We had a ton of fun completing the Benjamin Franklin Lap-Pak over the past few weeks. 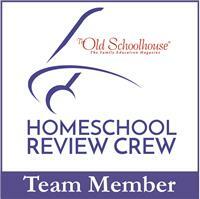 Raising three busy boys means that hands-on projects are an absolute must in our homeschool. My oldest son is primarily a kinetic learner, so this Benjamin Franklin lap-pak fit his learning style extremely well. There are 12 projects within this lap-pak and we worked on at least one per week. Once my son gets a bit older, I could definitely see doing at least 2-3 of the projects each week. The projects incorporate drawing, colouring, cutting and some writing skills. Since my son is still learning to print, I helped him with the writing portion of the activities. 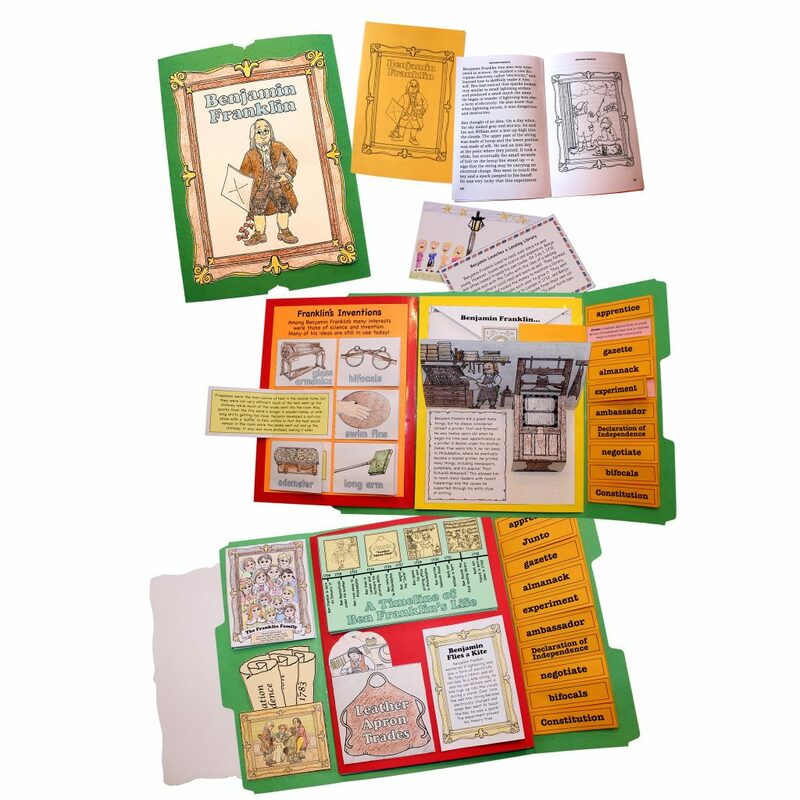 This lap-pak touches on the many talents of Benjamin Franklin and his impact on America through reading and hands-on projects. We started by printing the story on full-sized pages so that it would be easier to read, and my son also enjoyed listening to the audio version. We received an electronic file to access all of the lap-pak materials. It comes with photos to show you what the final projects should look like, along with detailed instructions on what supplies you need and what documents you need to print and prepare for each project. I was very quickly able to prepare the supplies and printing for each project within a few minutes. There are also easy to follow directions for the final lap-pak assembly. 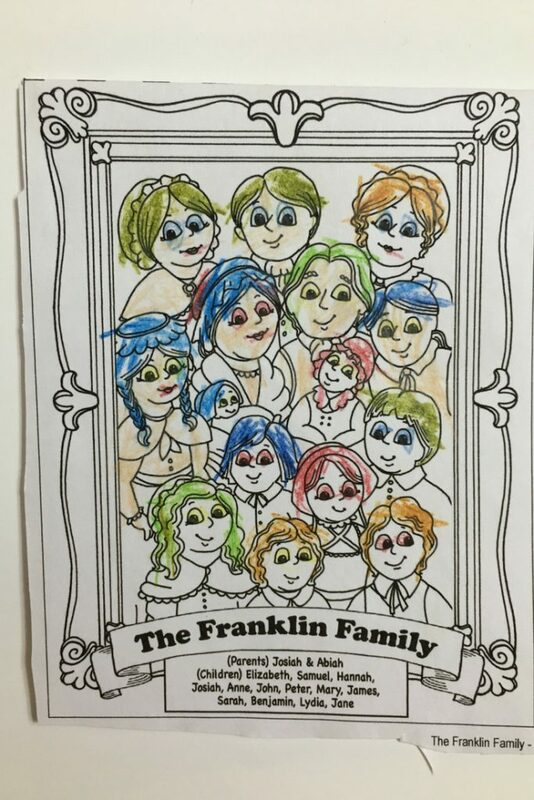 We started with the first project, The Franklin Family and then proceeded through a project each week. My son still keeps mentioning how big of a family Benjamin Franklin had. As my son coloured and cut of the pages, I would read the story to him. I would then ask him a few questions from the reading to help with his reading comprehension. His favourite project so far is the pop-up of Benjamin flying a kite. We still have a few more projects to complete and my son is so excited to see the finalized lap-pak. Here is what the final lap-pak would look like. What a great way to learn! We always enjoy expanding our learning with living books. 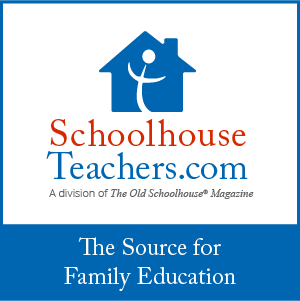 This curriculum also considers that as it provides a list of other resources. We have picked up a couple of the resources and are enjoying them as part of our bedtime reading. 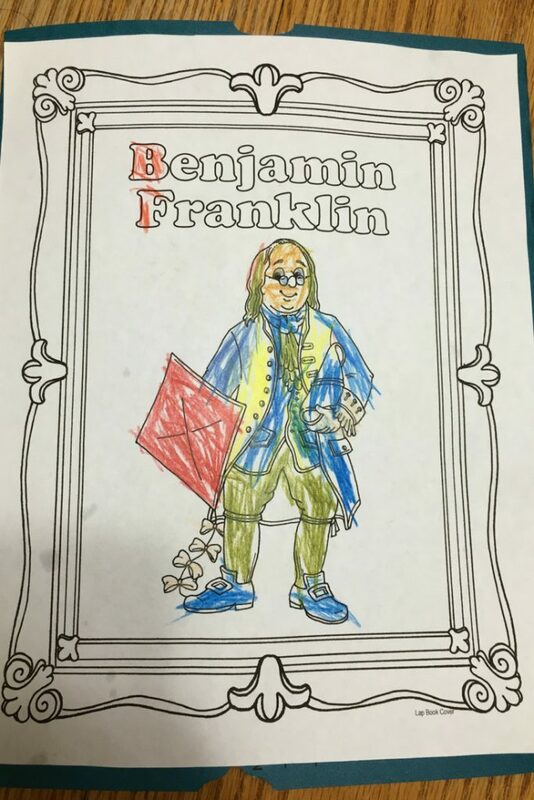 After having so much fun with the Hands-on History Lap-Pak about Benjamin Franklin, we can’t wait to try more of the product lines from Home School in the Woods. 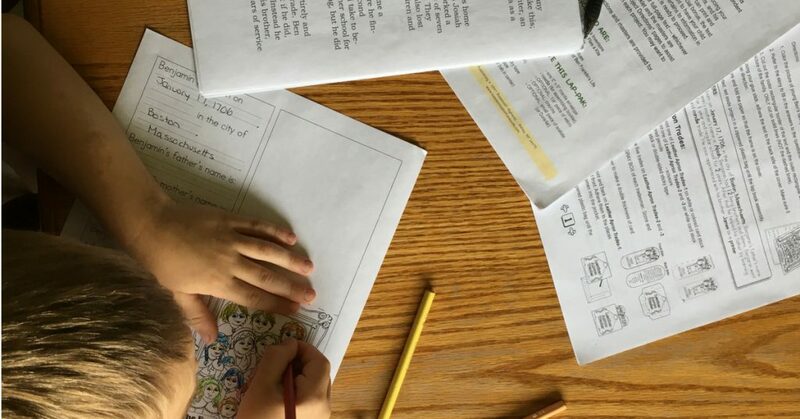 Here is video from Home School in the Woods that gives you an inside look into a couple different project lines, specifically Lap-Paks, Activity-Paks and Activity Studies. We are hoping to work on the Wonders of the World Hands-on History Lap-Pak later this year. My son thoroughly enjoyed working through the concept of a lap-pak so I really hope to offer him more lap-pak projects in the future. We will also definitely do one or more of the Project Passport World History Studies when my son is older as they are geared for grades 3 to 8. 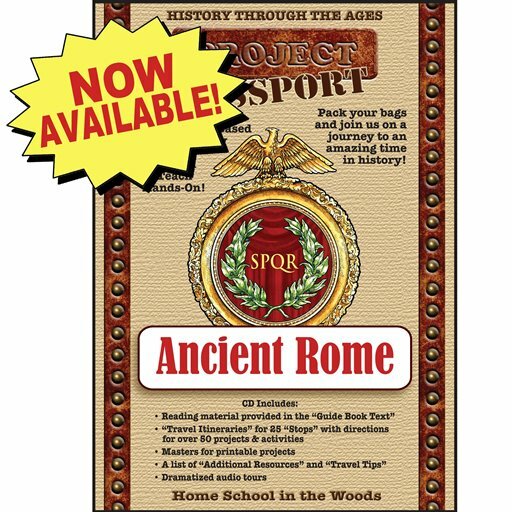 Home School in the Woods just released Project Passport: Ancient Rome and the complete series download of Project Passport Collection is now available. 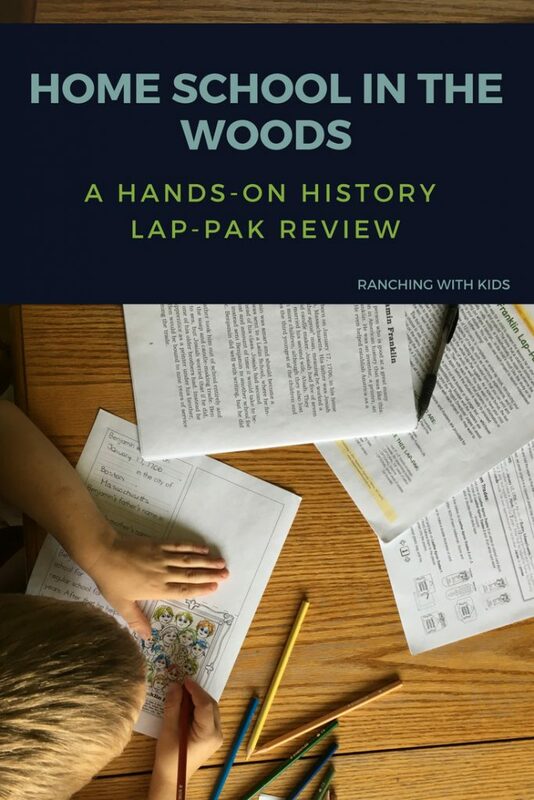 The Homeschool Review Crew had the opportunity to also review other Hands-on History Lap-Paks, Project Passport World History Studies, Time Travelers America History, Hands-on Activity-Paks, Hands-on History Activity Studies and A La Carte Timelines. 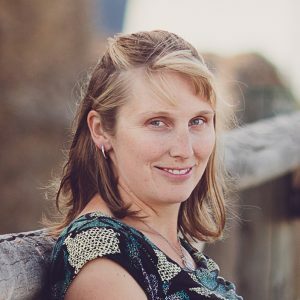 Check out some reviews on the other project lines by clicking here.